Sally, thank you for hosting me. I am happy to have a chat with any of your visitors. Sally, what pearler of a question. Bob, your response was comprehensive and thought provoking. I hope you go some way to changing the world through your writing. 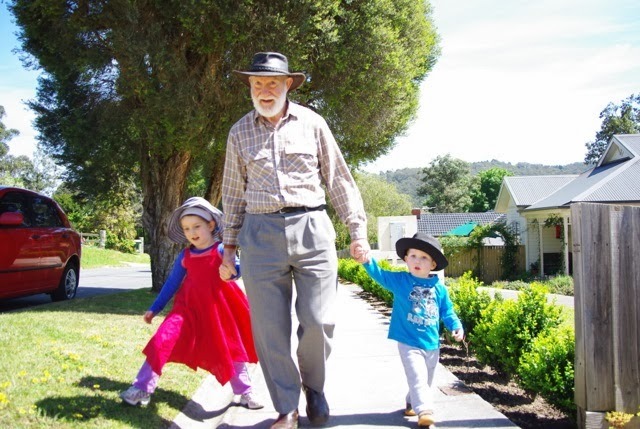 Your motto to 'live simply so you may simply live' is one we would all do well to follow. 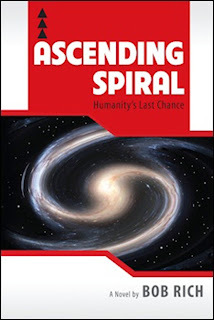 Ascending the Spiral is now on my To Read list. Great interview question and answer. I love that idea of fiction changing the world where non fiction won't get read and have the same impact. All the best with your book Bob. Lovely to hear about someone who puts others needs above self. Sadly, it's a rarity in today's world. Teena and Dale, thank you. By the way, anyone who buys a copy of any of my books in any format has earned a second book in electronic format, free. Also, for people in Australia, I can send an autographed paper copy. Dale, compassion, decency, cooperation, selflessness are not that rare. You can see it everywhere. People are both selfish and generous. But, as you point out, our culture encourages and rewards childish behaviour. We "merely" need to change culture that rewards decency, and that part of human nature will shine through. A good interview, Sally. One with a difference. Bob, you may recall that I reviewed your book earlier on, and I'd like to mention to prospective readers that it has a strong spiritual (not religious)element that will connect with many people. Your book is thought-provoking in the best way. Thank you Fran for calling by. Not only is your review public; it is actually included within the book as the first item in "What the reviewers said." I agree completely with your thoughts on these issues. Sounds like a fascinating read, Dr. Bob, and not one I would think of for you. I think of you as a very serious person, yet it sounds like you had a bit of fun with this one. It is so true that many (if not most) of us have our priorities upsdie down. I hope you can straighten some of us out with your books. Jay, thank you for visiting. Your approval means a lot to me. Hi Janet. I am glad you are back on deck after your heath problem. Me, serious? That's a serious accusation. I am never serious, it's just that I don't have a sense of humour. I hope you'll have a chance to write many more books yet. 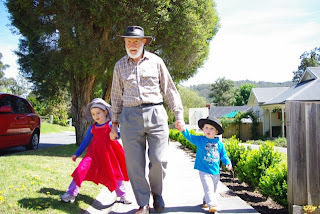 Thank you for interviewing Dr. Bob Rich on your blog. He is a great writer. He loves the world and sets his goals to do great things for us. Thank you, Dr. Bob, for being a good influence in our world. Good luck with all of your books. Your response to the question is a great example of why the book is worth reading and recommending. Fun and thought provoking! Thank you for visiting, Joan. I am in awe of the way you have built up the following for your blog, and your generosity in sharing your expertise in several fields. Thank you Joyce. I hope your writing is going well too. In a fluid writing style that will captivate readers from the first page to the last, Rich brings us a novel that is thought provoking as well as humbling. He brilliantly unfolds a story that entertains as well as educates as Pip develops wisdom and empathy. Ascending Spiral is a novel based on an ancient philosophy, but perfect for our times. I am trying to guess your identity. You wouldn't have anything to do with Goodbye Tchaikovsky by any chance? Wow, this one is lively! Thanks for calling by, everyone.